Occasionally on Food Stuff Finds I come across items in the store that I know are going to be disappointing, the only question is the exact nature of that disappointment and it's scale. Living in a very multicultural area I can often find a lot of knock-off and obscure import things to add into this category - and because this is the second time I've done it we now technically can call it a series! 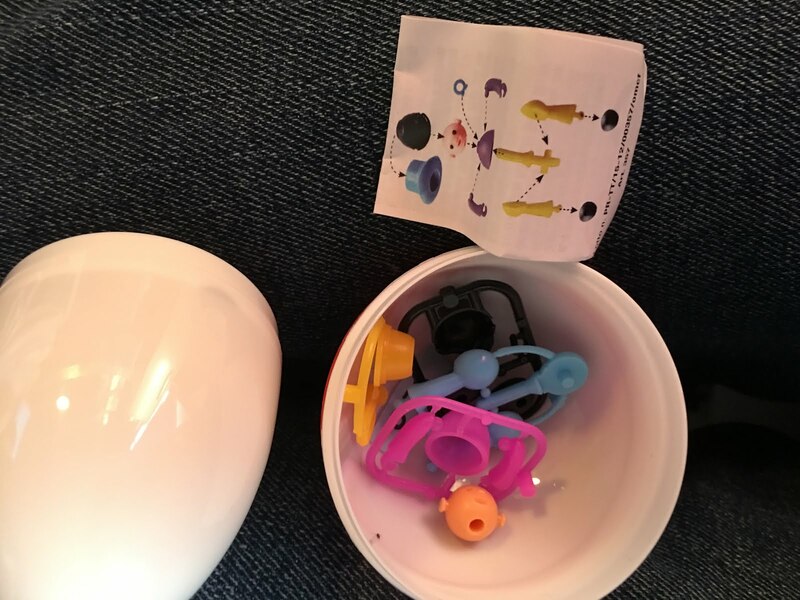 Here we have a DC Super Hero Girls Egg, Another Pokemon Go Ball, WITH TOYS! by Vira, and an Indian onion that I also happened to buy at the same time. The challenge is this - which has the most disappointing food element, and which has the most disappointing toy element? Would any actually be considered good value? 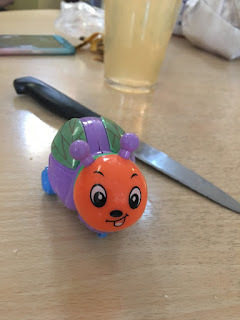 This edition took place in Birmingham Children's hospital where I was visiting a young relative, she has helped to grade the disappointment of the things inside the containers. First up we have the DC Super Hero Girls Egg - which must have been about 70p. 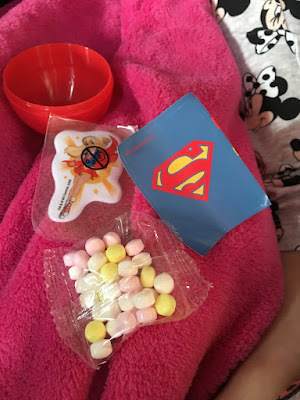 Inside you get a puffy sticker of a character I didn't recognise, a super girl sticker and some tasteless coloured sugar. I'd assumed that this was a knock off, but I think it must actually be official. Yes - all of the production quality is on the outside wrapper that went straight in the bin, but these are reasonable quality things. And there was a range of things you could have found inside so you could force an adult to waste money on the whole series. Our junior tester was quite pleased to get stickers as she can put these on the furniture in her bedroom if she didn't lose them before she got home. The sweets were tried and discarded - as expected they were the weakest part. I'm sure that had I spent £1 on stickers in The Entertainer I could have come out with much better girly hero related things and so I didn't feel it was good value. After the shockingly poor Pokemon knock off last time I really didn't want to spend £1 on this Pokemon Go Ball, but it was in a different section and although it looks even less official than the chocolate version I guessed it wouldn't be as bad. This was reasonably impressive! You essentially got three 'prizes' and sweets. The car is generic plastic rubbish reminiscent of the other Pokemon Go tat we had. The stickers are cheap and nasty, but will decorate the house at some point. The sweets actually had flavour and were worth the money just for the fun of guessing what colour was supposed to be what (they had seemingly grass and mint as green, and lemon and banana as yellow which is bizarre). The highlight has to be the chubby, faceless pikachu. 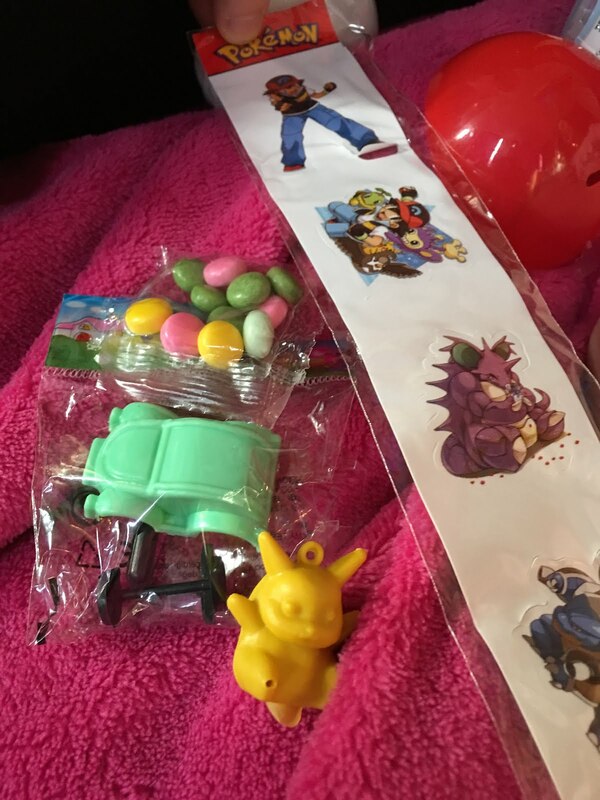 They clearly took an existing molded Pikachu, and then just cast their own told from that figure - with holes in odd places so you can sit it on a pencil. 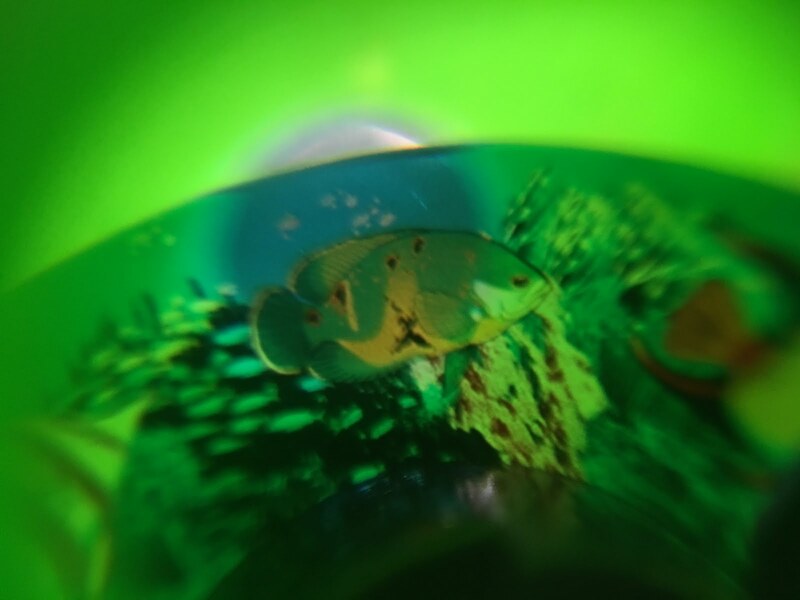 Our Junor Tester didn't like it until she drew eyes on it with a sharpie. 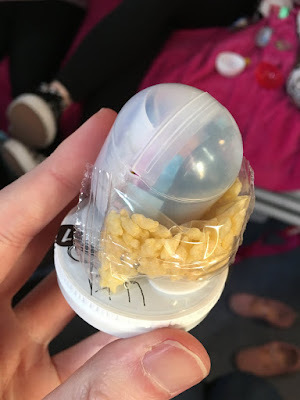 If you could have seen the contents ahead of time you'd never willingly spend £1 on this, but the sweets were edible and shared, the Pokeball snapped open and closed so we could pop the stuff back in, and half of the contents were actually on theme. 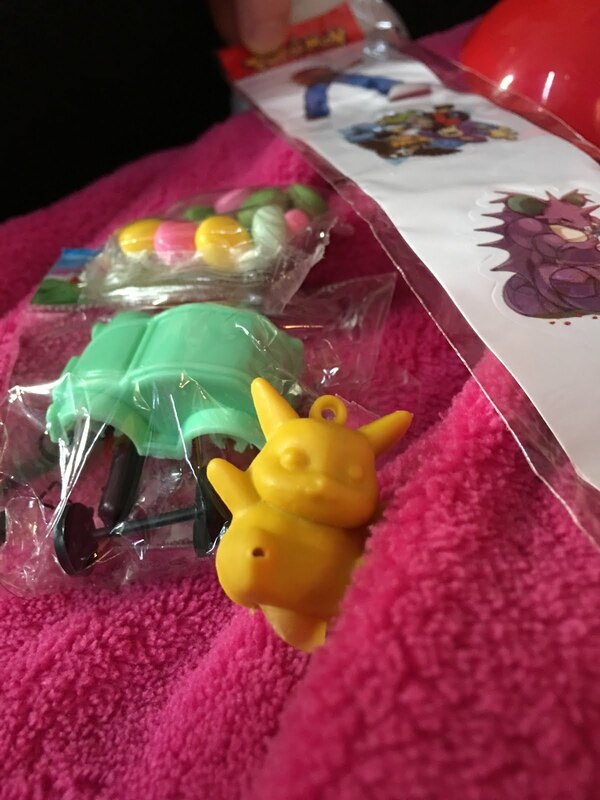 I don't feel the need to see if there are mutant versions of other Pokemon inside other versions, but the Junior Tester was pleased (once eyes were added) and going into the final item hopes were high. 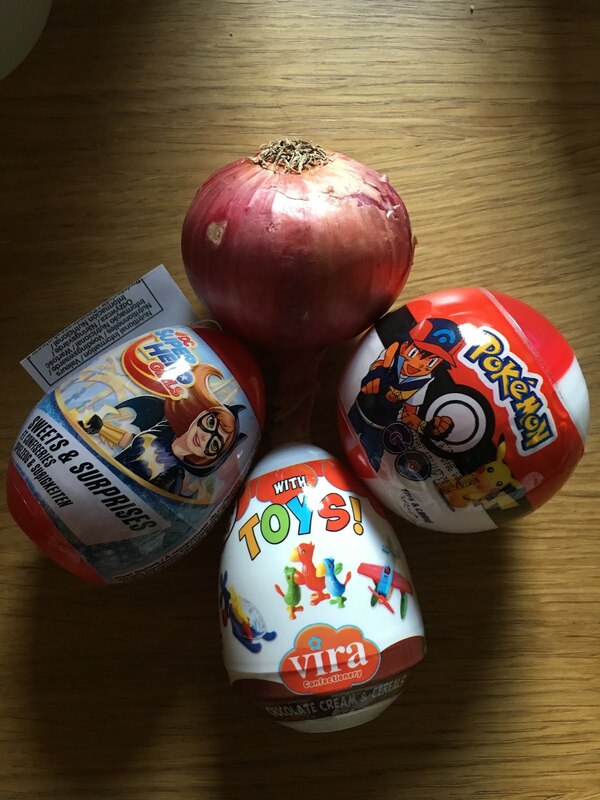 The Vira chocolate cream WITH TOY was the cheapest of the lot at about 40p (didn't get a receipt so I'm only 100% sure about the Pokemon one) and promised to be a knock-off Kinder Joy. ...is proper old school Kinder where you make it yourself. I miss those days (choking hazards and all) but understand why we've moved on. Trying to make this fiddly thing with my arthritic hands resulted in one key piece bouncing across the ward. The dip certainly smelt the part, and the cereal stars were a lovely touch although 100% stale and inedible. Clearly designed to be smelt by the parents, and only eaten by the children it tasted foul. Im not sure whether this was also stale, but nobody wanted more of this and we binned it. But when we tidied up we did find the guys head - and realised he was supposed to have a trumpet. 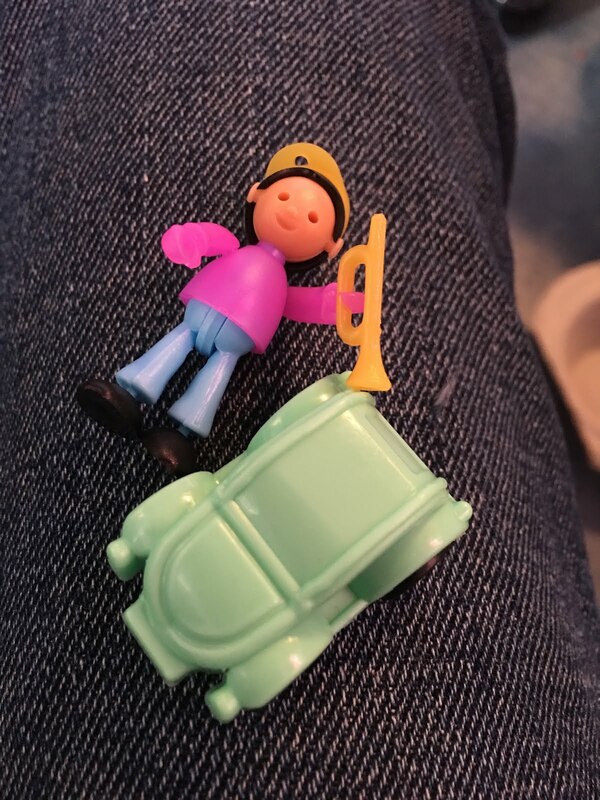 Much better than the odd plastic car then. 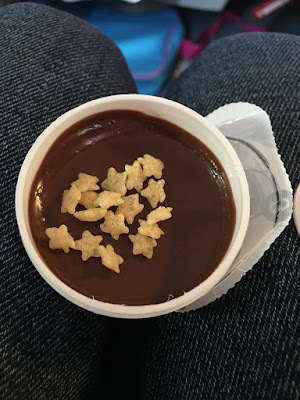 The hard to get wrong Nuttella style dip was terrible, and the cheap plastic kit was actually really endearing (if not completely inappropriate for small people). As the cheapest and only non branded item I expected the focus to have been on the food, but really - again - the cost was mostly the packaging and as such it was a disappointment to the Junior Tester most of all. To find out what happened to the Onion and whether that was any good tune in Thursday! UPDATE TO DISAPPOINTMENT WARS ONE! Being the sucker that I am I returned to the shop where the Gusto Mega Surprise crisps came from and got two more to give the the crazy colleagues who actually liked the crisps. 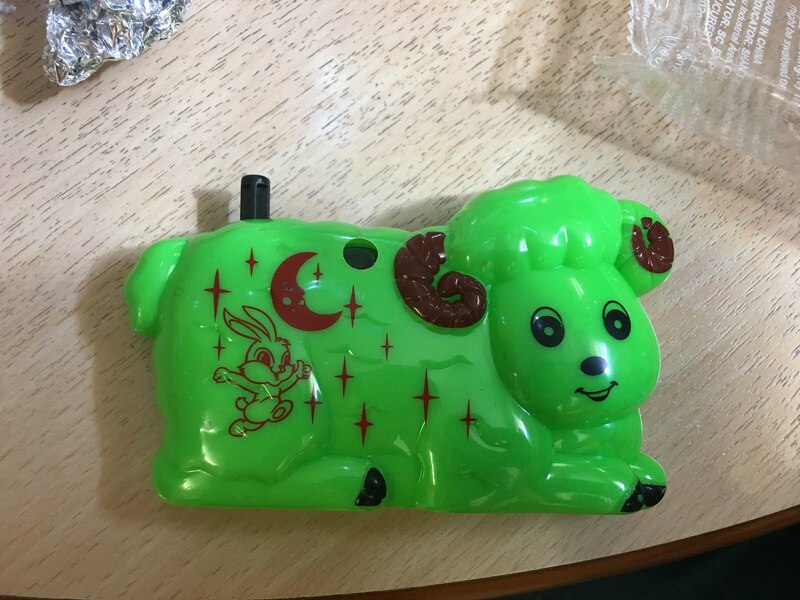 A large plastic green sheep - with a rabbit night time scene on it - and what do you see through the little window on the side? Why - it's an aquarium of course! Reasonably low tech, but fairly interesting and as a prize in a 59p bag of crisps it's pretty cool. The crisps are still inedible. The second prize was from the same range as my original prize which was in itself disappointing. 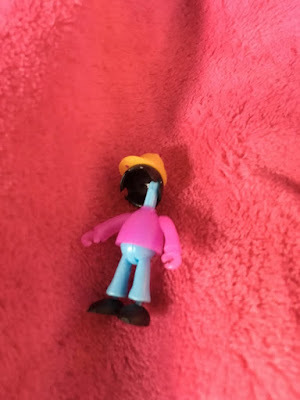 This one's head bobbing action worked a little better but otherwise still a toddler targeted toy, and not the super hero toys that everyone else seemed to open on YouTube. Still a disappointment then.